Following an unprecedented spike in new hires in 2015, the pace of interior design employment returned to a more normal annual growth rate in 2016, at just under 4 percent. Although well below the nearly 12 percent jump from the year before, the addition of 2,110 new jobs ranks as the second-best year for designers since the onset of the last recession, when employers cut positions drastically. The rate of growth was similar to that of U.S. employment overall, which fell to 4.7 percent in December. As with most other U.S. workers, increased employment has not yet resulted in a substantial growth in wages for interior designers. Still, wages nationally last May were up somewhat from the prior 12-month period, according to the U.S. Bureau of Labor Statistics Occupational Employment and Wage Estimates for 2016. The mean national wage for all employed designers (BLS data does not include self-employed designers) was up $710, or 1.3 percent, from last year. However, the median wage rose a bit higher, by $970 or 1.9 percent, indicating more designers earned more than the mean wage. By comparison, hourly wages for all U.S. workers increased by 2.8 percent in December. 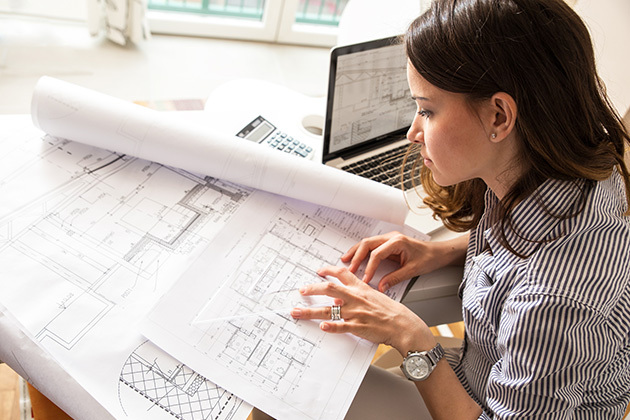 The number of interior designers working in businesses offering specialized design services grew by 330 positions, around 1.6 percent — far less than the nearly 2,200 recorded in 2015. At the same time, architectural and engineering firms added 1,050 designers to their staffs, an increase of just over 10 percent, compared to 350 the year before. In contrast, the number of designers employed by furniture stores, home furnishing and furniture wholesalers, and in residential construction all decreased slightly. These figures track with other industry trends indicating a greater demand year-over-year for commercial A&D services in 2016 and for professional design services in general. Among these sectors, the mean annual wage grew the most for designers working in interior design firms, but just by $100 to $56,710. Architectural and engineering firms reported the highest mean wage for interior design employees, at $62,170. Growth at the state level was somewhat more distributed in 2016 than in 2015. Once again, the states with the largest number of employed designers were California (7,390), Texas (4,970), Florida (4,730), New York (2,970) and Illinois (2,400) — although the latter two both saw a decline in the total number of employed designers from the year before. States reporting the biggest proportional gains in interior designer employment were North Dakota (100 percent), Maine (37.5 percent), Alabama (30.6 percent), Kentucky (24.4 percent) and Connecticut (23.4 percent). A half-dozen states rebounded from loss of employees in 2015. Adding to their payrolls in 2016 were firms in Minnesota, New Hampshire, New Jersey, North Carolina, Pennsylvania and Washington. On the other hand, in addition to Illinois and New York, other states with decreases in designer employment included Arizona, Hawaii, Louisiana, Michigan, Montana, Oregon, Puerto Rico, Rhode Island, Utah and Vermont — 12 in all, compared to just eight last year. Setting aside 2015's spectacular 12 percent increase — an outlier created by several years of post-recession pent-up demand — the pace of growth in 2016 was in line with, and in fact better than, the trend during the past decade. It seems reasonable to assume that the decline in new hires was due to a leveling off in short-term demand for additional personnel, with so many designers having been hired the previous year. What these data do not tells us is whether firms have hit a saturation point or are simply responding to current business conditions, as demand fluctuated considerably last year and the economic recovery has stimulated development in some sectors and some areas of the country but not in others. One would expect that if the pace of economic growth accelerates later in the year, as some experts have predicted, it will create additional opportunities for designers.